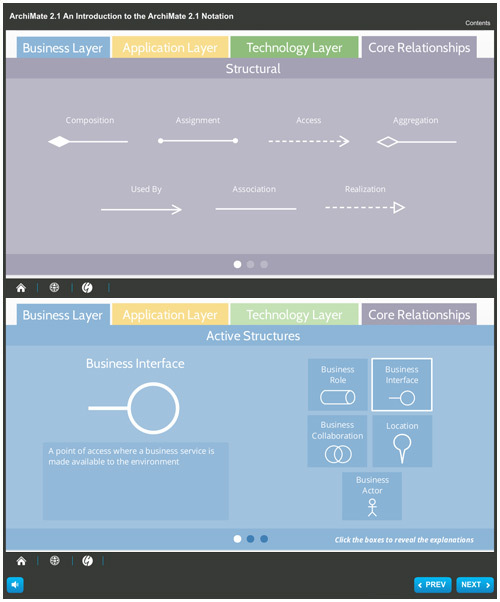 View this handy interactive guide detailing the latest version (2.1) of the ArchiMate structure. This resource is for a foundational understanding of the core concepts of the ArchiMate 2.1 language. In particular, we will be looking at the following areas: TOGAF 9 Scope of Extensions, Business Layer, Application Layer, Technology Layer, Core Relationships, and Training Solutions.